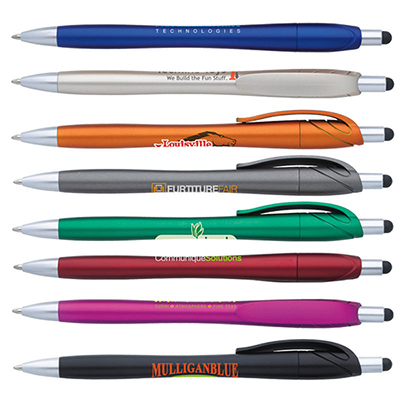 The promotional Mantaray™ Stylus Ballpoint Pen: Helps you promote your business! 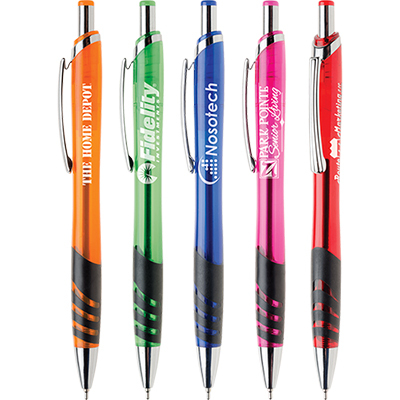 The promotional Mantaray™ Stylus Pen is a multifunctional pen with a stylus plunger. 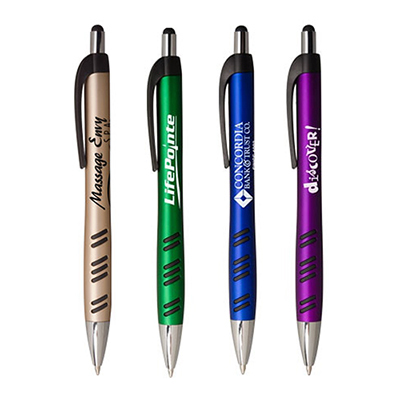 It will impress your clients and increase your brand’s reputation. Its features include a jumbo hourglass barrel in a rich metallic body. 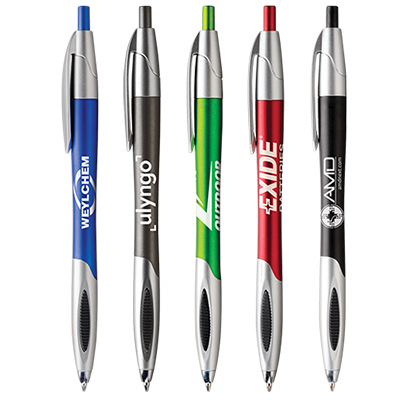 Print your logo in black and chrome accents. The ultramodern black rubber grippers provide extra comfort. Place your order right now! 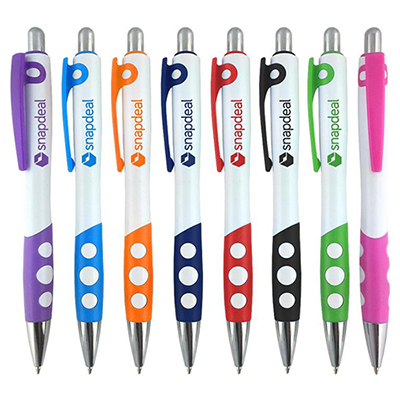 Multifunction pen with stylus plunger!